ISLAMORADA, Florida Keys — Jacksonville, Florida, angler Grace Horton secured grand champion honors at the Robert-James Sales Redbone Celebrity Tournament that ended Nov. 4 in the Florida Keys. Guided by Captain Steve Thomas of Islamorada, Horton released five bonefish on bait and two redfish on artificial lure for the win. Horton’s teammate Stosh Yaworsky of Sioux Falls, South Dakota, added one bonefish and one redfish, both on artificial, to earn the duo the team grand champion title. Junior grand champion honors were bestowed on Konnor Ross, 16, of Tavernier, Florida, for the teen’s four bonefish on bait and one redfish on fly. Former Denver Bronco and Tampa Bay Buccaneer Mark Cooper was named celebrity grand champion, releasing one bonefish on bait. A resident of Aurora, Colorado, Cooper fished with Captain Dale Perez. The tournament’s largest redfish, 29 inches, was released by Islamorada’s fishing legend Stu Apte, and the event’s largest bonefish award was given to Carmen Perez-Padron of Miami, Florida, for a 26.5-inch fish. 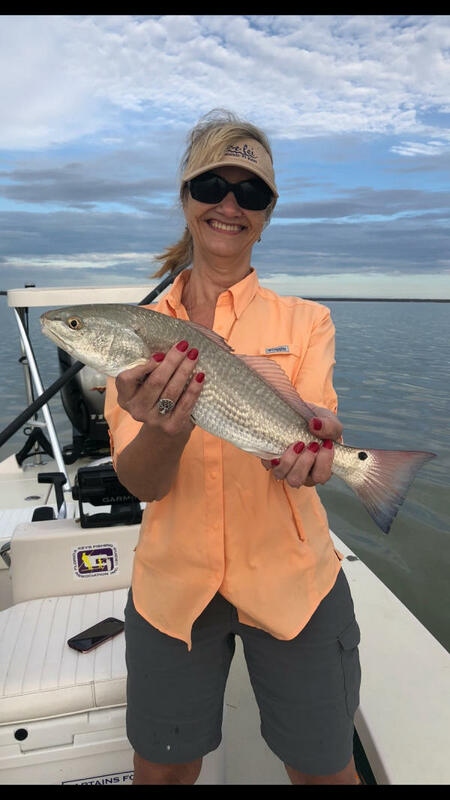 A field of 30 anglers among 15 boats released 17 redfish and 29 bonefish during the two-day Redbone tournament, which for decades has been a major fundraiser for cystic fibrosis treatment and research.